Today we made our own take on the traditional ring toss game. Bubble enjoyed playing it and Squeak enjoyed pulling the rings on and off. This game worked great for Bubble and Squeak who were throwing close range, but if you wanted the rings to be thrown from a decent distance I think the paper plates were not dense/heavy enough. In this case I'd probably either layer and glue several plates together or wrap them in something like string or twine to weight them. Cut the centre from some paper plates to use as your 'rings'. To make the stand I just cut slits in the bottom of the cardboard tube and flattened the ends, then taped it to the reverse side of a plate so it would stand up. MA - will go and check out your Blog tonight! Thanks for the link. Philippa - hehe, that happens to me all the time too :-D We're working on a slightly different version of this game at the moment but I can't seem to find much time to get it finished, the week is going by too fast! Can't wait to see yours when you make them, everything you and your little ones make always looks like fabulous fun. Oh you are SO full of great ideas. I should do this with my kids - my son would love it, my daughter probably wouldn't LOVE it, but it would be good for her! Lovely that it involves painting the rings too (she'd like that bit!). You are such a fun Mum, full of great ideas, LOVE it! I thought this was a great rainy day activity. I did it also on my blog as well! Thanks for posting! Thankyou for sharing joliluja, they turned out great! I love the paper clip idea to weight them too. LOVE this! I'm featuring it today on my "Top 10 Things to Make Out of Paper Plates" post @ www.cheapcraftymama.com! Please feel free to grab a button! Great idea. I just wondered about keeping the tube upright, thought it might need some weight? Then I thought why not just buy a new sink plunger at the dollar store? If using outside it would have enough weight that the wind shouldn't blow it over, and indoors it could be "plunged" to the floor! Could even paint the handle in cute colors if want to pretty it up! Just stopping by with congratulations! Your project was in the top 5 most popular posts for May (Yes, trying to get caught up!) on Fun Family Crafts! Thanks for sharing your creativity and we hope you'll submit more. 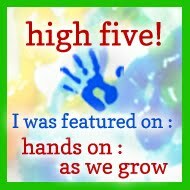 If you would like to see the post and grab a TOP 5 button, you can see it here http://funfamilycrafts.com/may-2012-top-posts/ Thanks! Thank you Amanda, how exciting! Will pop over and grab a button tonight, look forward to contributing again on your great site. thanks for the great idea. i am using this week at my day camp for "olympic Week" Will name this game Olympic "Rings" Toss!! Thank you! I loved your blog. This is just awesome!! So easy and perfect for my kids. Thanks for sharing! So simple and fun! 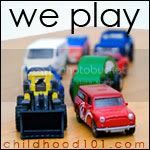 Creative use of everyday things and will keep the little ones busy! I love this idea! I will definitely have to try. Just did this today with my 2 yr old and almost 5 yr olds. So fun! Thanks for sharing. Super creative and cute! I will be using at an upcoming Earth Day event and will feature it in an article on http://lakewoodco.macaronikid.com/. Thank you! What a fun idea! I am featuring this on my Paper Plate Roundup if you don't mind.